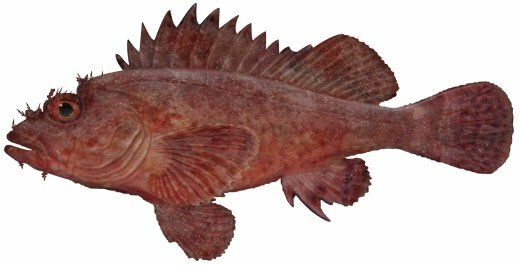 The Eastern Red Scorpionfish colouration is highly variable from light grey/brown to bright red with blotches or may also be a mottling of all these colours and blotches. They have skin flaps on the head, lateral line and other parts of the body, 12 venomous spines on the dorsal fin and a very large mouth. May attain a total length of approximately 45 cm. May be confused with other species of scorpionfish.